I Promise to be Good! I love to watch horses cut cattle, using their 'cow sense' and agility to separate them from the herd. It is amazing to watch the intense concentration of the horse and the interaction between him and the cow, who goes from determined to disgruntled if he is unable to slide past the horse. 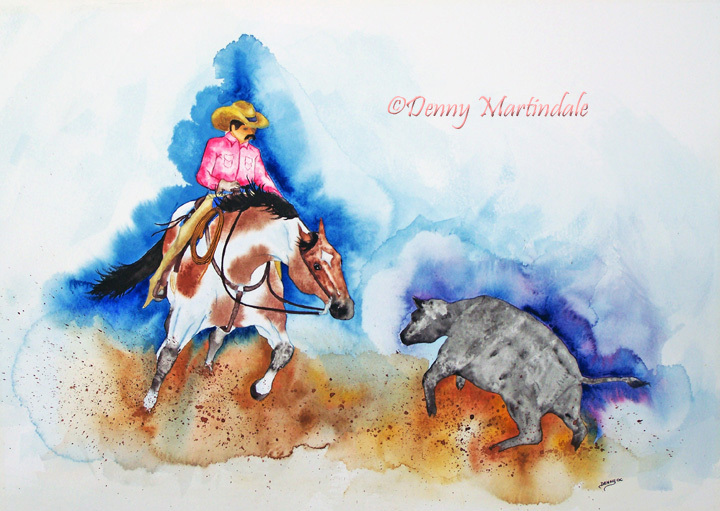 I chose watercolor for this painting, as I wanted to show the flow of the action and the grit of the dirt as it flies from the sudden twists and turns of the dance between horse and cow.